We’ve seen before on this blog how getting enough sleep is essential for our overall health. CALM&RELAX has several key ingredients that look like they can really help to enhance natural relaxation and get us off to the land of nod. Recently, there has been a lot of talk on how Theanine can help this process. We’ve gone the extra step here and we use decaffeinated Green Tea so the traditional herbs and spices should help you sleep without the “hyper” effect of too much caffeine. Liquorice too, amongst other ingredients, can help to relax and de-stress. There are plenty of examples now, in the technical literature, where we are seeing of how modern science is ‘verifying’ the older Ayurvedic science. McIntyre – Medical herbalist, UK. The ingredients we use go further then just using one or two herbs – we use a mix of herbs and spices it is possible to get other functionalities that will help you to relax and this may help if we are stressed or anxious. The mix of herbs helps us to give you a tasty drink. 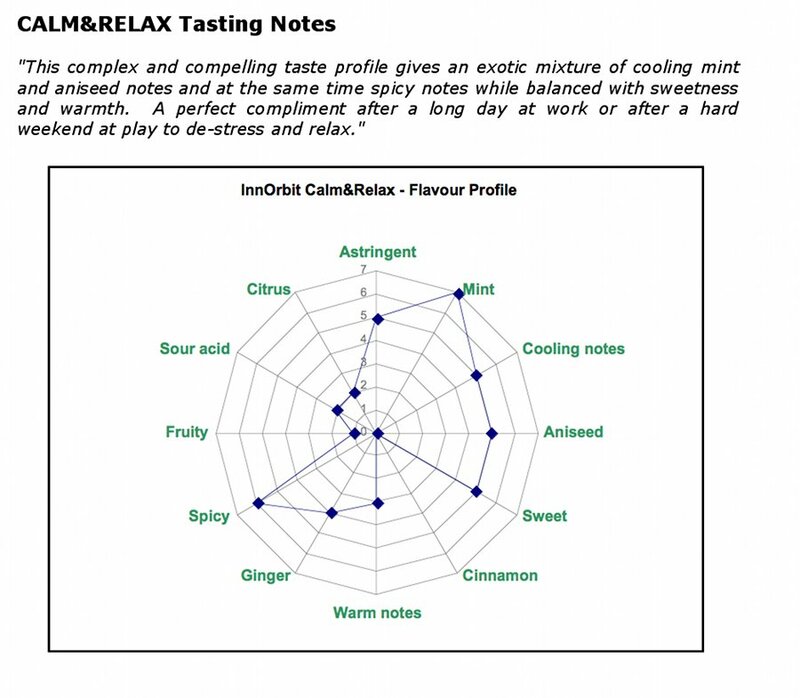 CALM&RELAX has a soothing taste too which can help naturally calm and relax the mind & body. The combination of herbs and spices we use in CALM&RELAX will help you to de-stress and relax anytime of the day. And remember getting a good rest and de-stressing are good ways of recovering from exercise or a hard day at work! 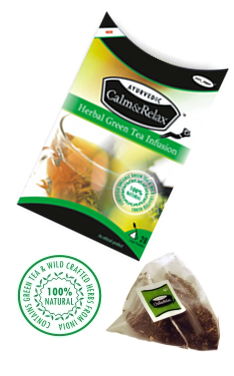 Try CALM&RELAX from The Wise Herb Company for relaxation and de-stressing anytime of the day.